MAX’S BetaPump RED ALERT Pre Workout – the next evolution of BetaPump. The result… BIGGER PUMPS, SUPER FOCUS and MONSTER ENERGY! This highly potent pre-workout can be single or double scooped to give the most intense energy and cognition offering from MAX’S Lab Series to date! Be Focussed, Be Pumped, Be Alert! – This is the all NEW evolution of the Lab Series BETAPUMP Pre Workout pump, energy & cognition amplifier from the legends over at MAX’S Labs! They called it Red Alert because it is packed with the latest nootropic technologies to give you an insane amount of focus and clarity like you have never experienced. This little baby is the bees knees when it comes to insane pumps and cognitive function – trust me! I double scooped this bad boy before my workout this morning and they ran out of weights for me to stack on the squat rack, New PB’s all round! 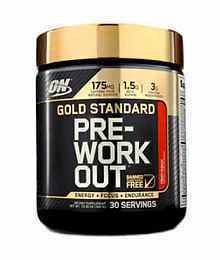 Warning though, a double scoop packs over 300mg of caffeine, 3000mg of Beta-Alanine and 3000mg of Citrulline Malate. That’s enough stim and pump actives to keep you smashing it all day long! The dedicated team at MAX’S Labs have had their head down working hard to produce this next level potency Pre Workout Pump, Energy and Cognition Amplifier that will set the new benchmark for Pre’s across the scene! With the Addition of more than double of the key ingredients in almost all the pump and energy ingredients compared to BETAPUMP BLACK, RED ALERT is sure to leave you FOCUSSED, PUMPED and ALERT!